Daniel.Net: They abused it that’s why they "ban" it. They abused it that’s why they "ban" it. I happened to find a old MIMS (1980) where Erimin 5 was not off the shelf yet in Singapore. 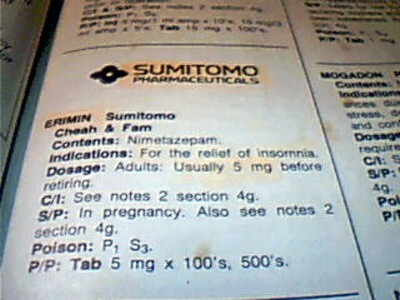 Erimin5 Nimetazepam is used for people who have insomnia . 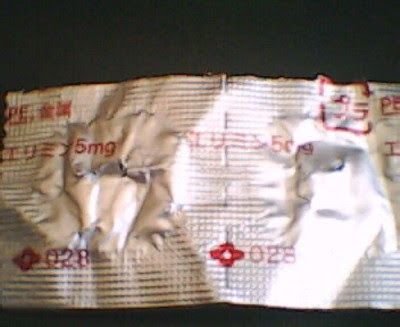 I did a review on it before but I will review it again as because I was given Nimetazepam when I was in rehab. 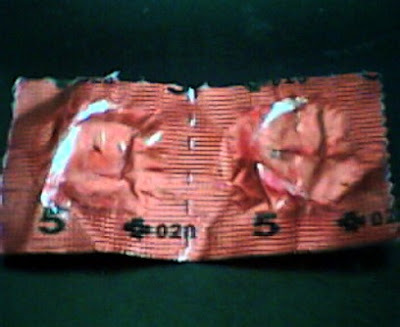 One 5mg tab to sleep (ordered on demand). Anyway that’s what Erimin is about. It helps to relax the nerves on the back of the neck when It gets stiff and achy and does alot more like sleep , panic attacks ect ………. 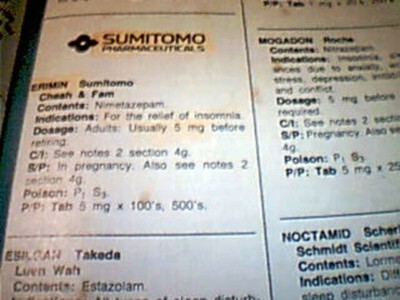 Note: pictures was taken with a cheap webcam , so It maybe hard to read.